1. Do You Have Workers’ Comp Insurance? By law, even small business owners with employees need to carry some form of workers’ compensation. If they don’t, it could put your company in a serious position of liability. Workers’ comp isn’t cheap and because of that, many roofing contractors skimp on this legal requirement. When they do and one of their employees gets injured on your property, that employee could hire an attorney and sue you for their medical expenses. This particular question is number one on our list for a reason! Protect yourself and NEVER bring on a contractor who glosses over workers’ comp. 2. Do You have General Liability Insurance? Where workers’ comp insurance covers employees, general liability insurance covers YOUR property. 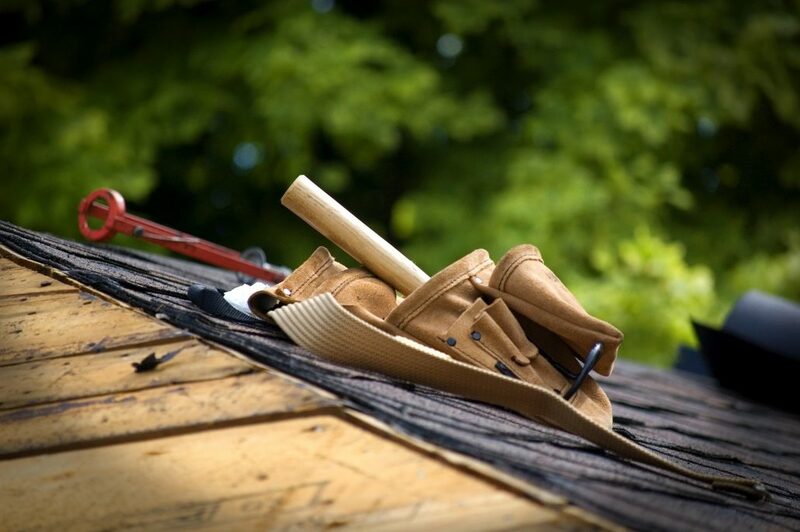 No general liability insurance means that you’d be left trying to chase down your roofing contractor to foot the bill on any repairs that need to get done. If they don’t have the money to pay for those repairs, you’re out of luck. With general liability insurance, roofing contractors can always tap into their insurance company to pay for any accidental damage to your commercial property. Do research to see what is required of roofing contractors in your area. If they are required to carry a license, only do business with licensed professionals. If your contractor is cutting corners on getting their license, they could be cutting corners elsewhere. 4. Will You Strip My Old Roof? There’s a trend in the roofing industry where some contractors (who are looking to get their job done fast) will simply shingle over your existing roof. They do this saying that your roof is in fair condition and that they can save you both time and money by not tearing up your existing roof. The problem is, if your contractor doesn’t strip your old roof, they can’t know whether or not there are issues with rotting wood, water damage, or soft spots. Make sure your roofing contractors have the intention of getting to the bottom of your existing roof and don’t just plan on covering up a problem. 5. How Will You Protect My Property While You’re Working? Roofers should be utilizing proper safety measures and protection systems while being mindful of things like landscaping, and (again, we can’t stress this enough) should carry liability insurance to protect each and every commercial property worksite. Asking your contractor what measures they’re going to take to keep things safe can give you a snapshot of how careful they’re going to be with your belongings. 6. Are You Based Locally? If you’re getting your roof redone due to a storm, beware of Johnny-come-lately contractors who have flooded into your area just to take advantage of high-demand. These contractors often do cut-rate work and are impossible to track down if you run into a problem later on. 7. What’s My Roof’s Warranty? Getting your commercial roof done can be a sizeable investment. Because of that, you’re going to want to understand how long your roof is expected to last. A high-quality roof should last you 20+ years (roofing systems have various lifespans — learn more about roofing options here). Aim for warranties that match that number or exceed it. 8. Will You Be Subcontracting My Job? In the world of roofing, a lot of contractors subcontract jobs to get cheaper labor and pocket the difference… which essentially means that the actual people doing your job aren’t the same people you’ve built a rapport with. If you’re not comfortable with subcontracting and want to make sure that people you know will be handling your roofing work, make that clear upfront. The better your contractor understands your expectations, the less likely you’ll be to run into surprises. 9. Will You Provide Me With a Written Estimate? You never want to start a job with a handshake estimate. This can lead to serious problems down the line. So, before you put any pen to paper, be sure that your roofing contractor is going to include a written commercial estimate that includes the removal of your old roof, the installation of your new one and any expenses involved in the completion of their work. A written estimate will protect both you and your roofer from changing conditions and expectations. 10. How Long Will The Job Take? A good roofer may have other jobs in their pipeline, which can affect how quickly they can get your commercial job done. To make sure that their timeline aligns with yours, ask how long they think it will be until their project reaches completion. If their time until completion estimate sounds good to you, have them include it in the contract you sign to make sure that your job isn’t put on the back burner later on down the line. This list of 10 essential questions are must-have discussion points when vetting any roofing contractors you’re thinking of hiring before signing them on. So, now that you know what to ask, it’s time to find a quality company to consider. To that end, our team at TEMA Roofing Services can help! 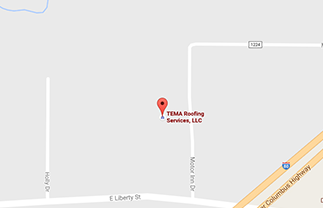 At TEMA, we’ve been boosting the value of commercial buildings in the northeast Ohio area for years with our world-class services. Let us provide you with that same outstanding value. Request your roofing quote today!